Porcelain veneers, also called porcelain laminates, are thin shells of porcelain which are fitted over the front surfaces of the teeth. The veneers have the unique ability to completely mask unattractive stains while letting light through to appear entirely real. Essi is specialised in aesthetics, as a smile is a big part of our impression. Porcelain veneers are wafer-thin ceramic shells for teeth, individually crafted for each patient for immediate cosmetic enhancement and long-lasting results. Laminate Veneers are only suitable for front teeth, mostly up to upper and lower 8 teeth. Laminate Veneers are suitable for an aesthetic smile formation, they are also used in cases where the teeth are stained, damaged or chipped. Another good way of using the porcelain veneers is the small gaps between teeth. If you have teeth that protrude, are recessed, overcrowded or present excessive gaps or damage then the corrective amendment needed will defeat the capability of a Laminate Veneer and another form of Cosmetic Dentistry such as a Dental Crowns should be advised. On top of the advantages given above, the veneers have the additional advantage of strength and support. Veneers are relatively maintenance-free and are much more durable than bonding. If very dark stains need to be masked or if existing porcelain crowns need to be matched, porcelain veneers may be the treatment of choice. Porcelain veneers can also correct misaligned, worn, short and uneven teeth. Porcelain veneers require two office visits because of the laboratory work involved. At your first visit, our dentist will examine your smile in order to discuss all treatment options. She will then prepare a mould solution, which will be used by the laboratory to design your high-quality porcelain veneers. Temporary laminates will be given to you to be able to see your new teeth design with an improved new smile while the finished product is created. At your second visit, your customized porcelain veneers will be ready. 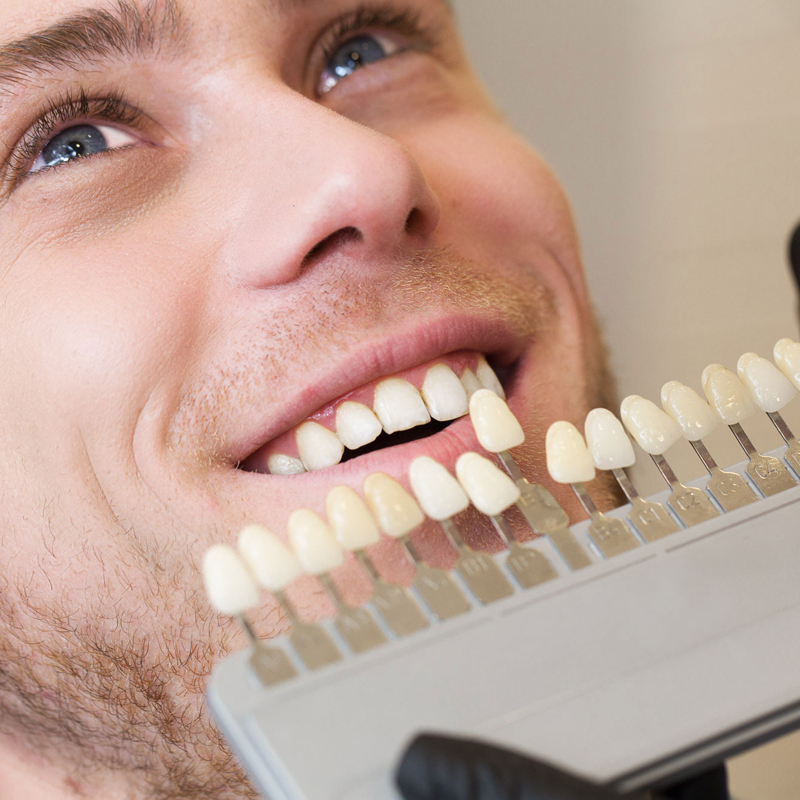 At this time, your dentist will put the veneers over your teeth to make the last smile checks. If there is no trim or adjustment needed, she will go on with the binding procedure. Re-evaluate your smile’s appearance and make final adjustments before your veneers are permanently bonded to your teeth. What is the waiting time between the first and second visits? Typically there are 7 days between appointments.